Having trouble navigating our website? Please see our updated Park Slope Parents Recommendation Policy HERE. Something wrong on the website? LET US KNOW! 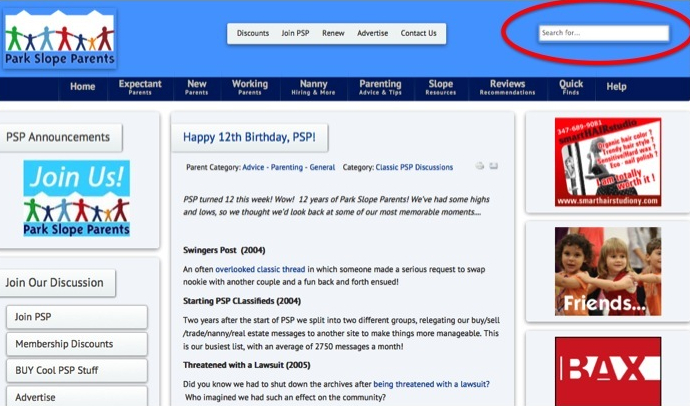 PSP can really use your help to keep the website listings up to date. 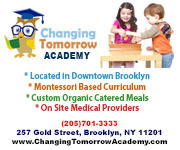 Wanting to contact Park Slope Parents regarding some academic research you are conducting? For over a decade our members have been sharing their reviews of local businesses and services. We've got thousands of entries from dentists to decorators, painters to pediatricians, locksmiths to lawyers. Over the years, we've even added really (we mean REALLY) specific categories like hairdressers that specialize in curly hair. We also pull together articles based on sensitive member questions like how to talk about death with your child, or how to handle angry kids, or what to do if you have a repeated miscarriage. With all these member experiences, we get that navigating the website can feel overwhelming. That's why we've worked hard to make sure the SEARCH function works and make content easy for you to find. PSP's search is powered by Google, so when you go to search on PSP, think of searching things like you how you would on Google, except knowing that what you'll get is PSP specific. *So the next time you feel stumped, play around with the keywords of your issue. The search button is located in the TOP RIGHT HAND corner of the screen on the PSP website. You'll then get a pretty focused list of relevant articles and recommendations. In addition to having a SEARCH function that works, we also try to keep track of where we get our reviews. Most of our reviews come from threads on the PSP Main Advice list. We've started including in the subject line the thread it came from. If you want to go back and read (or even resurrect) a thread on the list, it should be pretty easy to then search the archives. Want to know how to search the Yahoo! archives? Go HERE. Our moderators manually add these reviews, you might notice a small time delay between the time and date stamp. If you have any questions, suggestions or need further help, please let us know at - we value our member input! *because it's powered by Google, we get Google ads at the top of the search results, so watch out!